Klaus-Josef Rossfeldt comments that she was a member of the design team at Rolls-Royce. Jenner executed several attractive drawings that did not make it further than planning. 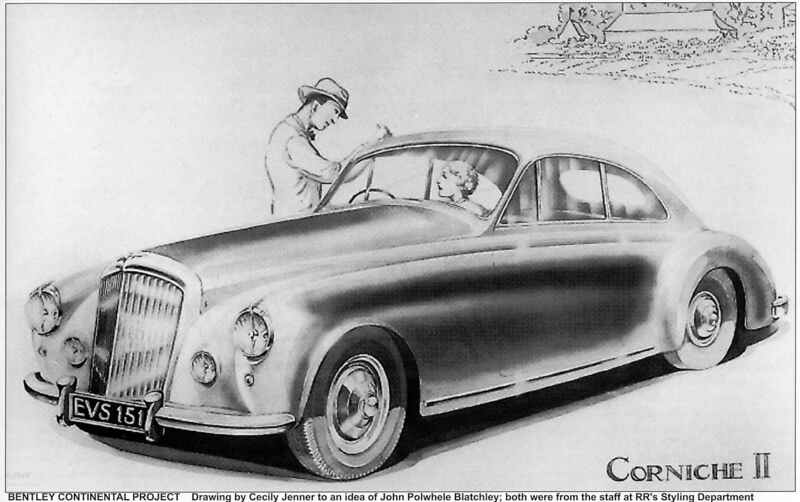 1949 drawing of Corniche II, Bentley Continental styling exercise. Image courtesy of Klaus-Josef Rossfeldt.